Had these over the last couple of nights. 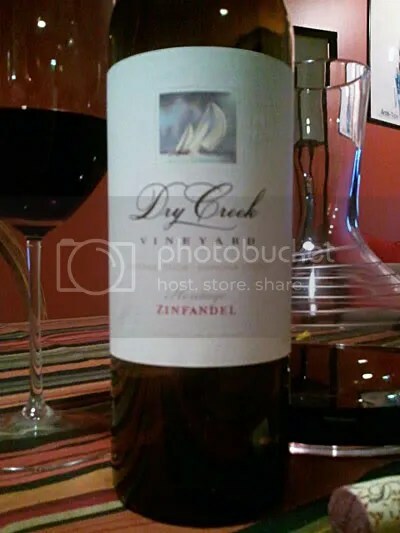 It had a pretty low ABV for a zin about 13.5% if I recall, but it was big in body with lots of juicy stewed dark fruits with lovely smooth tannins and dark acidity to balance it out. 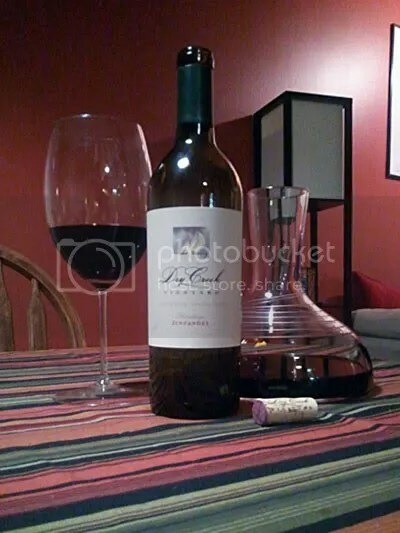 For the price, in relation to other Napa cabs, this was a real bargain. 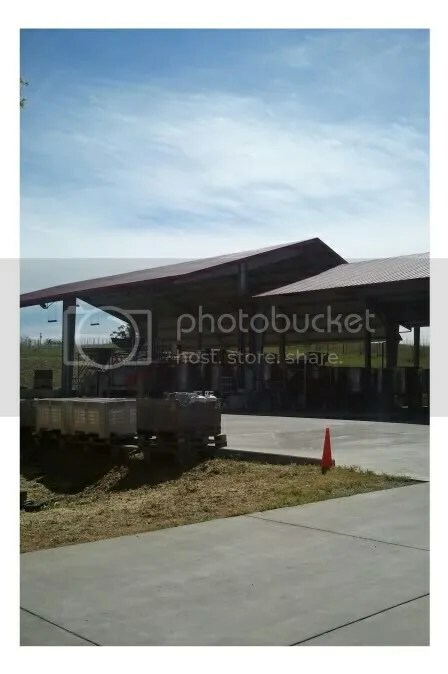 I paid $23.00 (US) after tax at Marion Street Cheese Market. The nose was deep, dark and spicy with tell tale hints of eucalyptus and cedar. The palate was equally rich and dark with ripe plum and blackberry flavours. The tannins were a bit tight and finely textured but did smooth out over time. I’m looking forward to having a glass tonight to see how it opened up. The long finish treated the mouth with some nice dark cocoa notes wrapped around black cherry flavours. 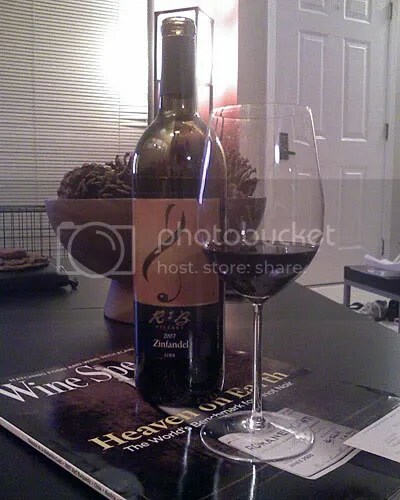 Had this lovely zin last night with grilled tacos, Italian Sausage, spinach, goat cheese and mushroom empanadas, sided with homemade pico de gallo and c=Chili Morita sauce. 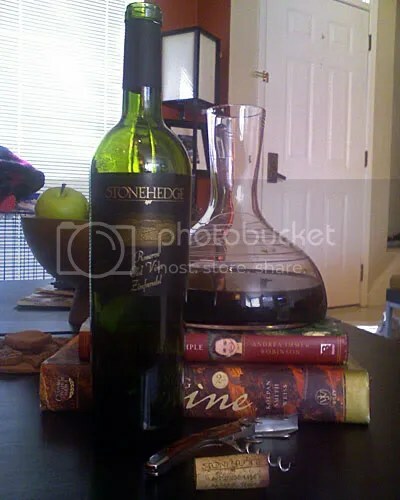 2005-Stonehedge, Reserve Old Vine Zinfandel. Another $9.99 Trader Joe’s gem. I let it open up for about an hour and the nose was deep and rich with dark fruits and spice. The palate was treated to wonderful dried fruit flavours nicely balanced by spice notes and silky tannins. Nice lingering finish as well. Spicy nose with dark cherry, dried fruits and licorice. 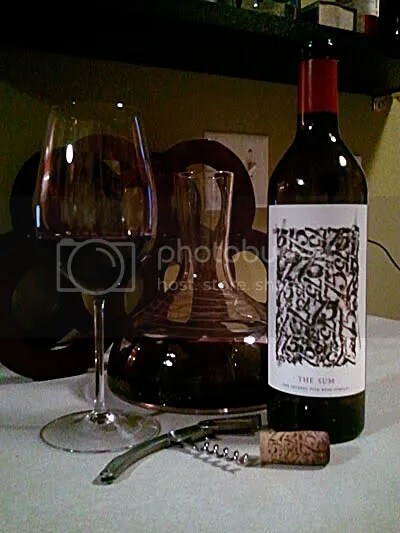 Medium-bodied with rich red fruits and finely textured tannins. There is a subtle hint of tartness that’s not too acidic or puckering but along the lines of a juicy plump black cherry or cranberry. Light notes of toasty oak also play a part. 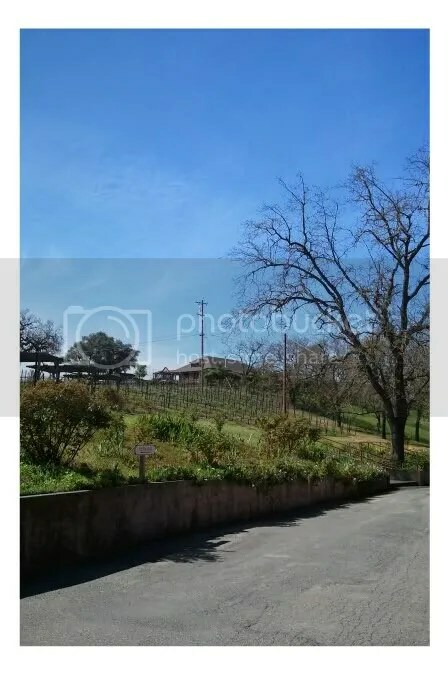 This one is brighter in nose and palate than the Dry Creek Valley bottling from the Goat Trek Vineyard, Though this one has hints of dried or stewed fruits it’s the tartness and red ripe fruits that take center stage. However, there is still a supple richness to the mouthfeel to help balance the rest…think creme fresh with fresh raspberries and blueberries. The finish lingers on for some time. There is quite a lot going on here with layer upon layer of flavours and textures, which peel back one after the other to reveal another dimension to the overall picture. After 24 hours: More concentrated aromas of dark dried fruits emerge on the nose and palate. The acidity and tartness mellows allowing the supple tannins to come forward a bit more and the finish becomes smoother and richer with subtle note of chocolate joining the chorus. 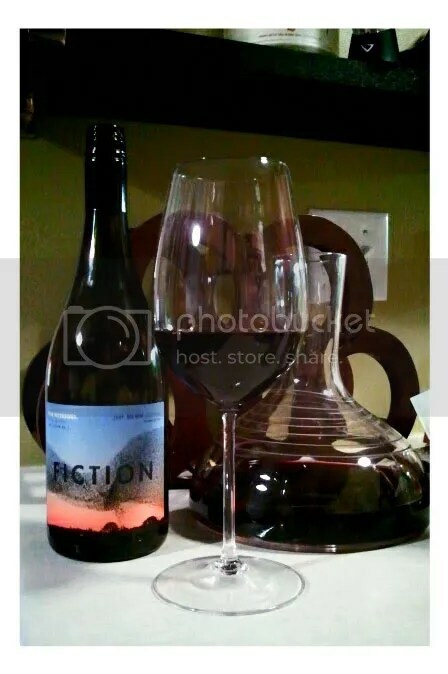 Overall this is a pretty complex and nuanced wine for the money developing a nice balance after a good decanting. So here’s the line up from my birthday party on Saturday. I chose these to go with the variety of Argentinian fare being served. We had six different empanadas, Argentine Chorizo, Sandwiches de miga and Chicken burgers. Plus a cold risotto salad and a wasabi and potato/green bean salad. For desert we had homemade alfajores and tiramisu. Along with the vino there was standard beer and mojitos. I drank the vino. The upside to that is I still have a ton of vino left. The three chafers in the background were eventually filled with the delectable delights! 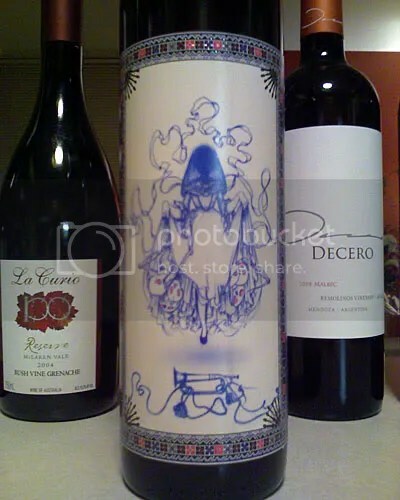 As gifts I received the 2007 Decero, a Pinot from Chile and 2007 Llama Malbec. 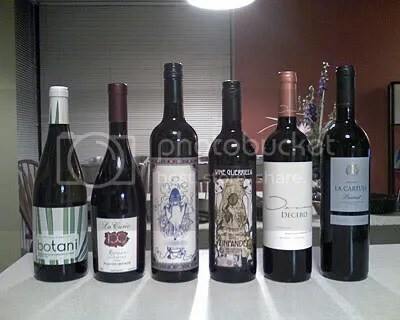 The wines that were opened were the Botani, the 08 Decero, the Southern Belle Shiraz and the Pinot Noir from Chile, all of which will be reviewed soon, and four Vineyard Bordeaux glasses from Crate & Barrel, which I freaking love!!! The party was great fun and though the weather wasn’t perfect, it didn’t rain and the grill kept the patio a warm place to hang out. 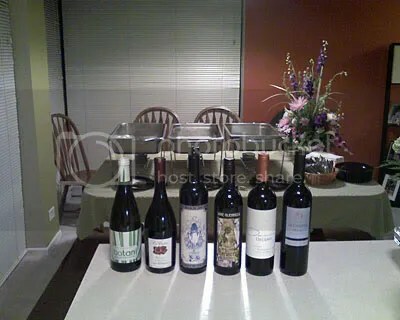 The food was fantastic and went great with all the wines opened. 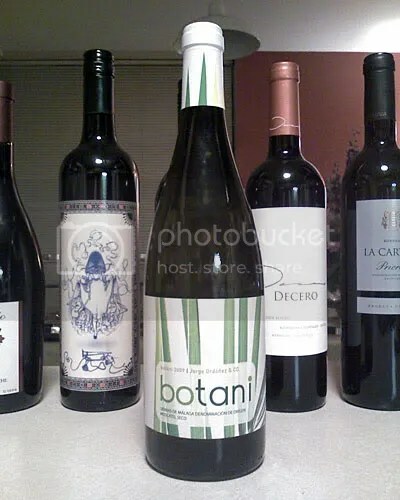 The Botani was a great opener with its light floral and white peach aromas with hints of baking spice and crisp yet round and expressive fruity palate. It really went well with the jamon y choclo and jamon y queso empanadas, but also drank well on its own. It is 100% Muscatel de Alejandria and aged 70% in stainless steel and 30% in French oak, which gave it a wonderful straw-yellow colour and that wonderful mouthfeel. 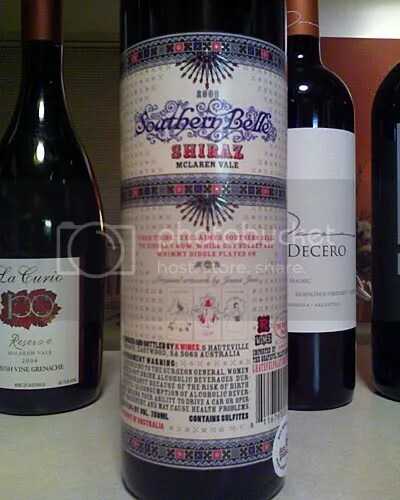 Another favourite of the night for me was the 2007 “Southern Belle” Shiraz! Now don’t let the name fool you this was no dainty little wine! 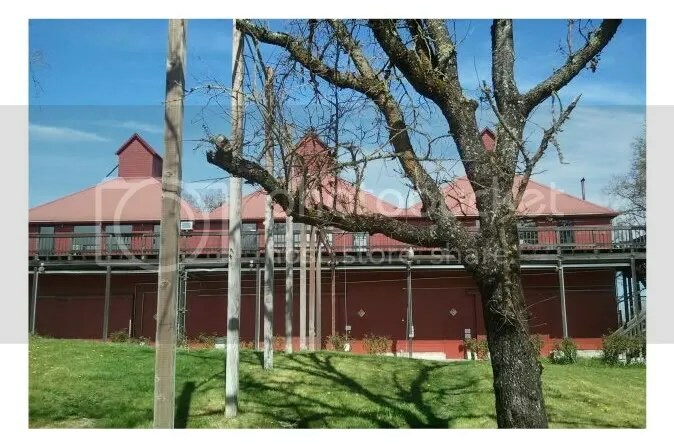 It was aged in seasoned oak including some ex-bourbon barrels, which gave this wine a huge dark and spicy nose with lots of plump and dried fruit aromas. 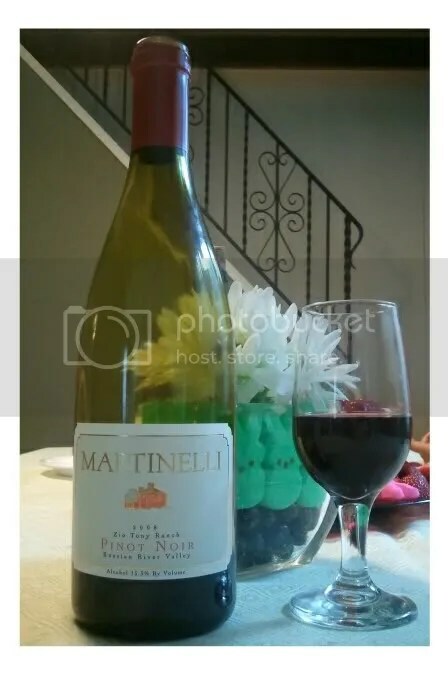 The palate was just as huge but silky smooth and chewy tannins provided perfect structure to carry the dark and spicy mid-palate into a long and luxurious finish. After tasting this wonderful Shiraz you’d be quite surprised to find out that she weighs in at 17.6% abv!!! 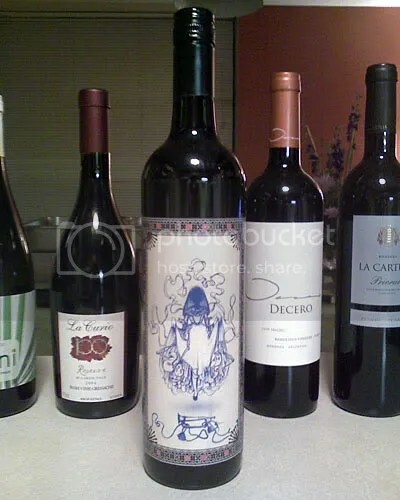 I loved this wine with the grilled Argentine Chorizo topped with homemade chimichurri! Well, that’ll do it for now. I still have some of the Pinot left and I really want to have a chance to sit down with it tonight and get to know it a bit better. But first impressions is that it’s a very well-balanced Pinot with red fruits and some earthy, leathery spice and silky body…I’ll confirm tomorrow! 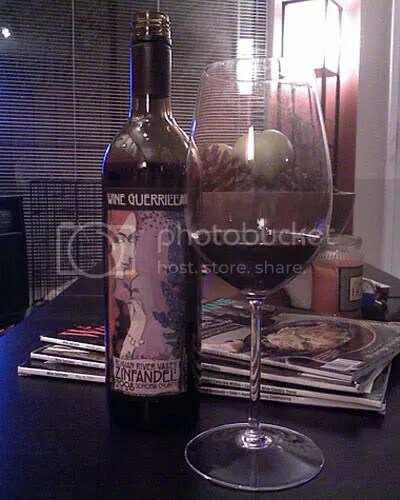 Well, I very rarely meet a wine that I really don’t like but last night’s bottle, sadly, was one of those rare moments. It was a gift and I had some hopes for it upon first opening it. 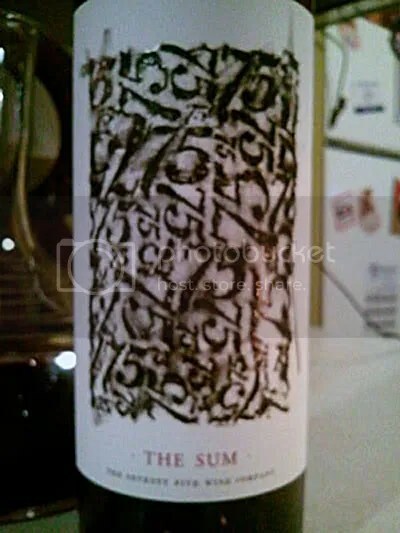 It had a big nose of rich dried fruits with hints of spice but hopes ended there. Upon first sip I got hit with the heat of cheap alcohol tainted with artificial fruit flavours and bitter acidity and the finish was almost too harsh to actually handle after a while. I tried to give it a second chance with some food, some Mexican Pan Fried Porkchops with some red beans and potatoes with rice, but again to no avail. In the end, I wound up pouring it down the drain as it wasn’t even fit to cook with. 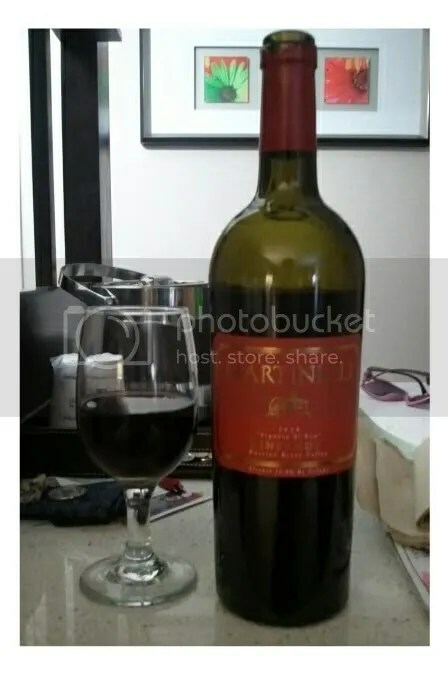 I’m wondering if it might have been oxidized but the taste was less acetone/nail polish remover than just blatant alcohol, that one trait that had kept me away from zins for so long until I was introduced to Dry Creek zins. All I can say about this one is to avoid it. It’s undrinkable!